I learned a new word… kokedama is a Japanese word meaning ‘moss ball’ and is a creative way of growing specimen bulbs and other plants. Our Floral Coordinator, Heidi Militana, is going to show us all how to make one of these unique little bundles of plants in her new series on flower arranging called Garden to Vase. I am putting a link here to the signup and class information. 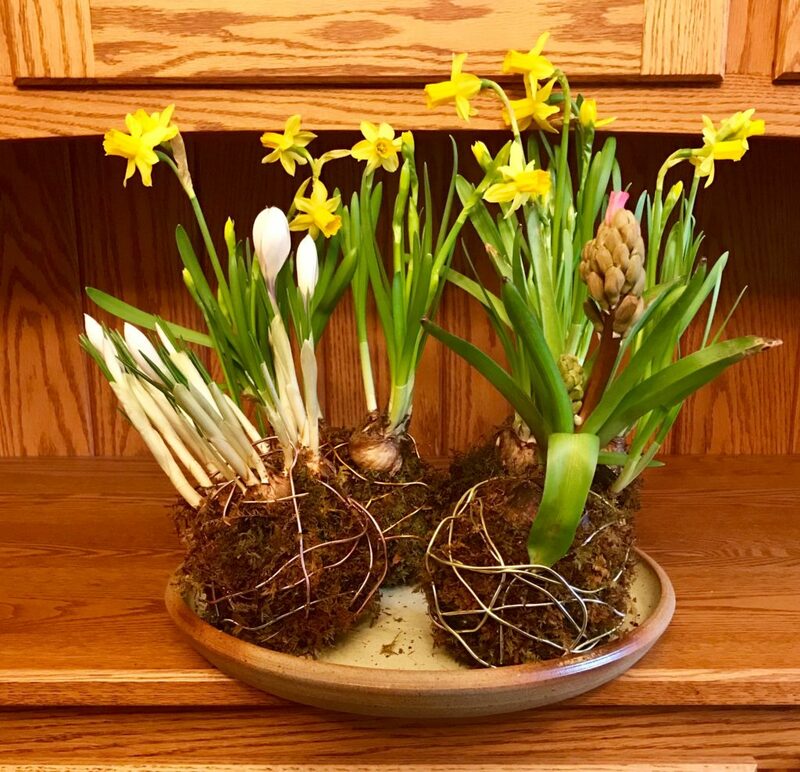 The series of demonstrations kicks off this Wednesday with kokedama, and continues the first Wednesday of each month (from 5:30–8:30 pm) with a different flower arranging topic.